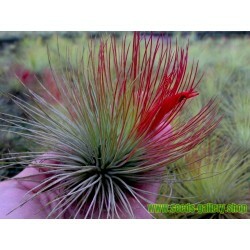 The Tillandsia Ionantha red is a very exclusive product. 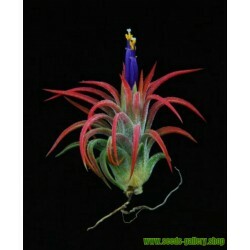 The Ionantha kind, in general, is one of the most common species within the epiphyte family of Tillandsia. Because of its small and compact form, it is very easy to use in flower arrangements and bouquets. 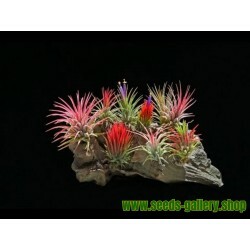 Moreover, the Ionantha red is highly decorative and beautiful to combine and use for decoration purposes. The Tillandsia Ionantha red requires also very little care compared to other Tillandsia species, which makes it a great and easy-care product to have and work with. 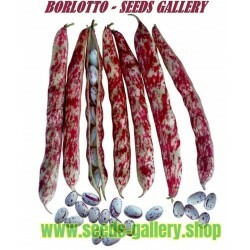 This particular species is native to Central and South America and mostly lives in desert-like climates. There are many types of Tillandsia Ionantha, for example: Ionantha Fuego (fire), Ionantha Scaposa, Ionantha Rubra and Ionantha Ionantha (which can be found in red color in the picture). 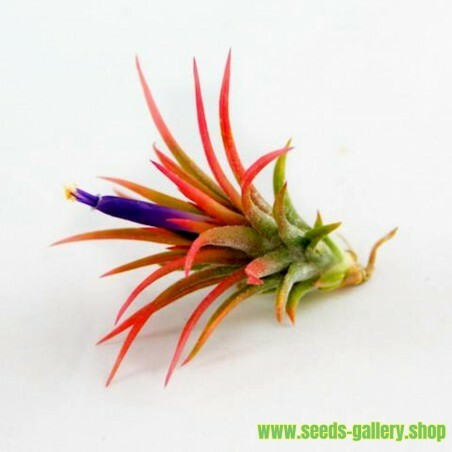 Corsa Plant / we mainly have the Tillandsia Ionantha Ionantha in green and red color available with a height of about 8-10 centimeters! 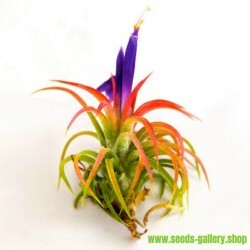 Also, the Tillandsia Ionantha Scaposa is currently available at Corsa Plant! 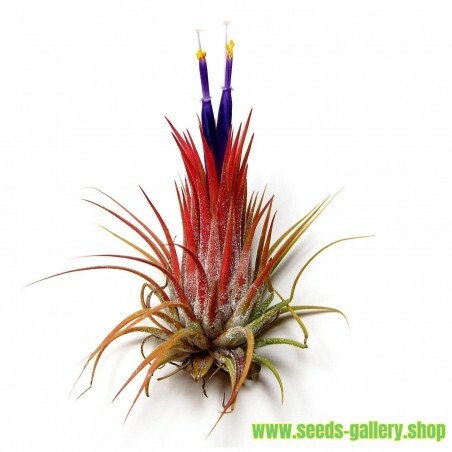 Tillandsias grow differently than most other house plants, so they can be confusing to the beginner. 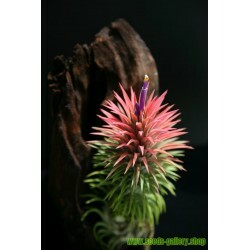 They are really very hardy, and require much less attention than other house plants. The following simplifies the instruction but you can scroll down for much more specific information. 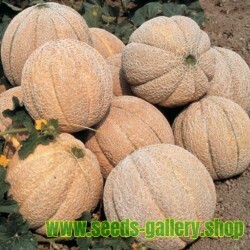 Provided the atmosphere is not too dry they can survive with water misting and the occasional bath. 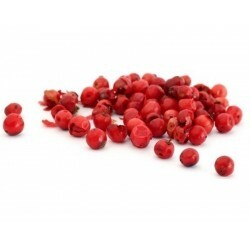 If you are growing them indoors and the air is dry, you will need (at minimum) to submerge the plant in water for 2-3 hours about every two weeks. In a shaded-house or unheated home, you can use a soaking mist once or twice a week in summer, once a month in cooler weather. You can fertilize by adding a pinch of Bromeliad or Orchid fertilizer to your mister. 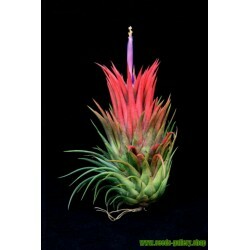 Air plants in glass globes have become so popular that I get calls all the time about caring for them. Follow these simple instruction to enjoy your glass surrounded plant for many years. If you are looking for glass globes, find many unique designs in our shop. The larger the globe the more care you can give your plant. Water your plant when you first receive it by soaking 20-30 minutes. Take note of the size and color and you should see how happy the plant is. Keep this "picture" in your mind. 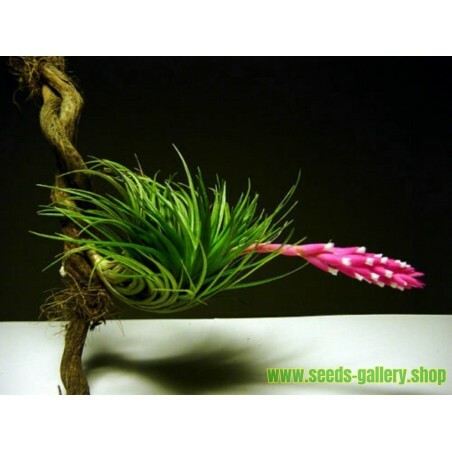 Allow your plant to dry almost completely before placing in the globe. Mist your plant every 4-5 days with one spray for tiny globes, 2-3 sprays for globes 3-5 inches, more if the plant is in a large open globe. The key is to judge the drying time, the smaller the globe, the less circulation, the longer the plant will hold the moisture. If you over water the plant will die. Remember what your plant looked like after soaking? If it has lost that happy healthy look, take it out and soak it for 30 minutes to an hour, shake, allow to almost completely dry and replace in globe. Do not place your globes directly in front of a window where they get direct sun. Remember the glass will intensify the sunlight and the heat. Indirect light is best and some will even grow in low to moderate light. Favorite Plants for Globes: Ionantha Guatemala, Ionantha Rubra, Ionantha Scaposa, Ionantha Mexican, Ionantha Fuego, Funkiana, Argentea, Bulbosa Guatemala and Butzii. The following care instructions are more specific, so feel free to really dive-in! I have added things over the last year as I have learned. Bright filtered light is the general rule, and the higher the humidity of the air the higher light will be tolerated. Outdoors the silvery-leafed varieties (ex: Xerographica, Harissii) can usually be grown in full sun, but in an un-shaded greenhouse or close to un-shaded glass in a sunny room or conservatory the same plant will quickly burn because the air dries out like an oven. 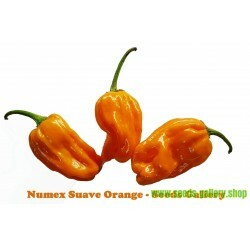 In a very sunny spot indoors they may need daily misting or weekly soaking depending on which method you prefer. 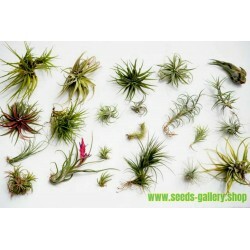 For more information, read our detailed post about the effects of Summer Sun on your air plants. 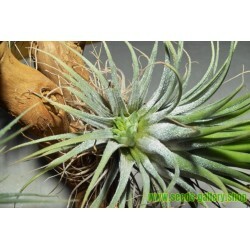 Thoroughly wet your Tillandsia 2-3 times per week; more often in a hot, dry environment; less often in a cool, humid one. In conditions of extreme drying, and consequent moisture loss, Tillandsia cannot get replacement water from their roots like a terrestrial plant, or draw on internal reserves like a succulent. The Water you use is important. Never use distilled water! Softened Water is a not good either because of the salt content. Filtered water, tap water that has sat long enough for the chlorine to dissipate, and bottled water are all fine. Pond Water and aquarium water works well as long as they aren't over crowded with fish and/or reptiles. Outdoors you may never need to water Tillandsias if you live in humid Southeast or Florida. Indoors, the hotter and drier the air, the more you need to water. Plants should be given enough light and air circulation to dry in no longer than 3 hours after watering. Wind can be a detriment as the plant dries too quickly. Remember that inside with a window fan as well. 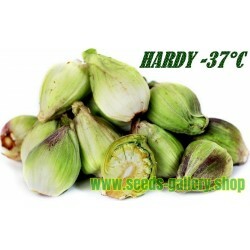 If the plant dries within a very short period of time, it is not hydrating at all. Spray misting is insufficient as the sole means of watering but may be beneficial between regular waterings in dry climates to increase the humidity. If the plant is in a shell, be sure to empty the water out. Tillandsias will not survive in standing water. Under-watering is evidenced by an exaggerating of the natural concave curve of each leaf. After wetting your plants thoroughly, turn them upside down and gently shake them. I have found that the water that collects near the base is detrimental if left to long. I have lost many plants that way while learning. 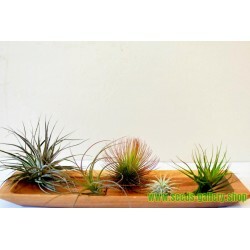 One last thing about watering your air plant - It is much better to water in the morning than at night. 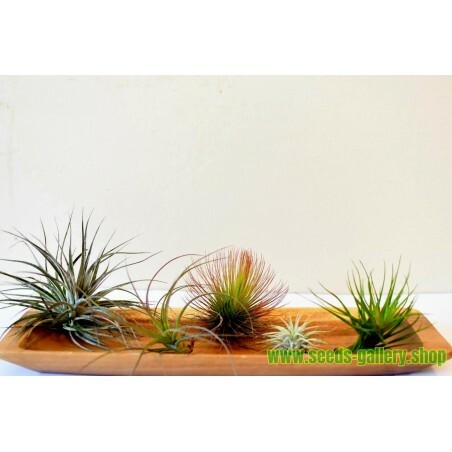 Air plants absorb the Carbon Dioxide from the air at night instead of the day time. If the plant is wet, it does not breath therefore, unless it can dry quickly at night, plan on morning baths. 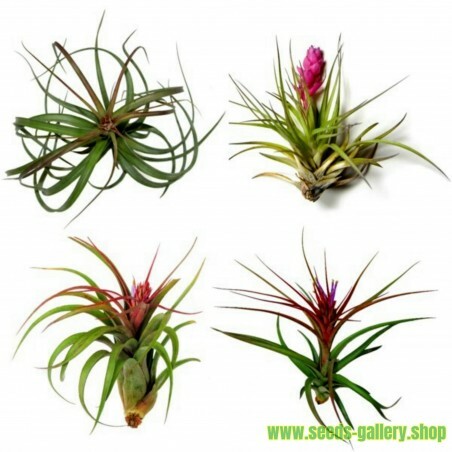 Following each watering, Tillandsias should be given enough light and air circulation to dry in 4 hours or less. Do not keep plants constantly wet or moist. Do not allow them to dry too quickly though. 1-3 hours is optimum. 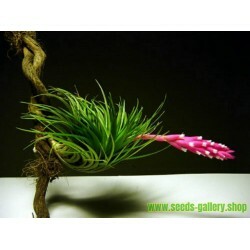 Also if the air is hot, a breeze acts to cool the plant and keep it from becoming overheated. Air circulation is important. Optimum temperature range for Tillandsias is 50 - 90 degrees F. I have kept my plants outside during 40 degree F. weather but only for a night or two knowing it would be warm during the day. 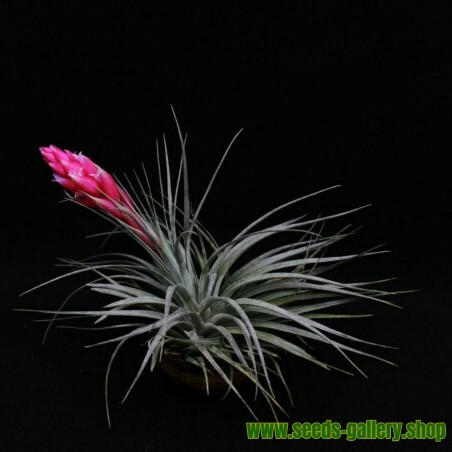 Most tillandsia will die with frost. Learn here how to acclimate your plants to the outdoors after their indoor winter holiday. Use Bromeliad fertilizer (17-8-22) twice a month. 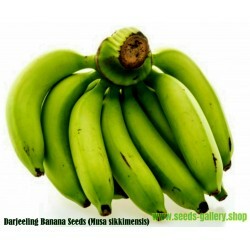 It is great for blooming and reproduction! We offer our specially tested Air Plant Fertilizer right on our website. 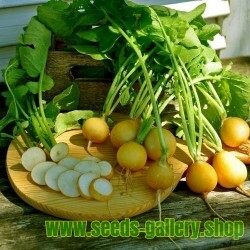 Other water-soluble fertilizers can be used at 1/4 strength (Rapid Grow, Miracle-Grow, etc.) if Bromeliad fertilizer is not available. Note Here: If you use pond water or aquarium water, Don't use fertilizer. Soaking the plants in these waters is a natural fertilizer and can help revive plants that are in distress. Bromeliad Tillandsia have a life cycle of one plant growing to maturity and blooming. Before, during or after blooming (depending on the species) your plant will start producing offsets (Pups), most plants will produce between 2 - 8 pups. Each plant will flower once in its lifetime, remember that each pup is a plant and it will bloom. Flowers can last from several days to many months, depending on the species, and different species bloom at different times depending also on its care and environment. You can expect blooms from mid winter through mid summer depending on the plant. If you leave your plant to clump just remove the leaves of the mother plant as she starts to dry up, just pull the leaves out with a gentle sideways tug, if the leaf resists, its not dead yet, so just trim any dried areas instead. Once you've fully removed the mother plant, the gap that's left will quickly be filled in by the other plants growing & spreading. To remove the pups, they should be at least 1/3 to 1/2 the size of the mother plant. Hold both mother and pup at their bases and gently twist in a downward motion. If this does not happen easily, you may need to remove the pup by cutting downward as close to the mother as possible. 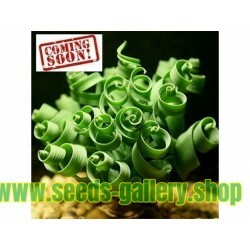 Do not discard the mother plant yet, as long as she is still alive she will continue to produce more pups for you. Often taking several years after blooming before she finally dies. Tillandsias can be grown basically anywhere, on rocks, in a seashell or on coral, in ceramic or pottery, attached to wood (not pressure treated wood this is impregnated with copper, and copper will kill your plant). When considering what you are going to do with your plant don't forget that you have to be able to water it and it has to be placed somewhere that it will get sufficient light. 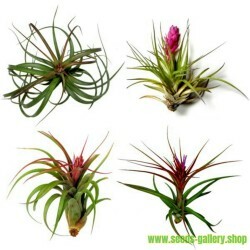 Try not to put Tillandsias in containers that hold water, they need to dry out. If you do place your plant in something that holds water, empty out the excess after watering your plant. The same thing applies when mounting your plant. Do not surround your plant with Moss. It will hold too much water and will rot your plant. You can use glue, wire, fishing line, twisty ties, nails or staples. Nails and staples can only be used on plants with a woody stolon or with sufficient roots. DO NOT staple your plant on its fleshy parts as it will kill it. Try to use a waterproof glue such as Liquid Nails, E6000, or hot glue, allowing the glue to cool for 5 seconds. Do not not use superglue or copper wire as these will kill your plant. When you receive our plants, please remove from the shipping package and soak for 30 minutes to 1 hour, submerge upside down. Shake gently to remove excess water, Place in bright light and allow to dry. 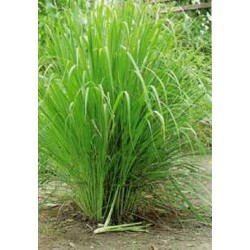 Do not fertilize plants for 3 weeks following their arrival but be sure to follow directions for light and water.